Don’t just take our word for it – look at the before and after treatment photography. Follow these simple steps tot make your free online booking and be able to manage it anytime. Get information on all the treatments we offer, including testimonials from our many happy customers and our full price list. I have had my first Titan treatment which was an enjoyable treatment with no pain at all; in fact so relaxing I could have slept. Since my treatment I have noticed a huge improvement in my skin tone and plumpness. Around my chin and neck, there is a noticeable improvement in tightness. The added bonus is the comments of friends & family on how well and fresh I look. It will be definitely a treatment that I will keep up. I did not tell my husband that I was going to have the Titan treatment, and a week later he came over to the car and beamed at me and said I looked like the girl he had met 28 years ago. From a man who would not normally notice if I was on fire, that’s praise indeed. Thank you Titan. He was not the only one to notice, so thanks to everyone at the clinic and especially for being so nice. I carried out months of research before choosing Dr Jilani for my treatments. There were three things that were important to me, (aside from the fact that I wanted a drastic difference in my appearance without surgery.) 1 Trust, 2 Professionalism, 3 Individual treatment. I had Restylane, Perlane and Botox last November. It worked extremely well and the treatment results were quite long lasting. The care before and after the treatment was excellent. It is a very good service offered by the husband and wife team, and I have certainly come back with confidence. I had Botox & Restylane two weeks ago, and haven’t stopped smiling since. I wish I’d had it done years ago. My face feels so relaxed and I look happy and refreshed. The whole procedure was pain free, and Dr Jilani and his staff are both very welcoming and professional. I used to have a permanent frown, and now I have a permanent smile. Thank you. My first visit to Dr Jilani was in March 2005. I wanted Botox on my forehead and was told by a friend he was the best. She was right; the results were noticed by family and friends. I then had Restylane around my cheeks and mouth area. The results were almost immediate, I was very pleased. Dr Jilani and his wife make you feel very relaxed about the treatments at the clinic. I would recommend Dr Jilani highly to anyone thinking about having these treatments. I have had Botox and Restylane and am really pleased with the result. Dr Jilani is totally professional, interested in what he is doing, pleasant and caring. I would recommend him to anyone. He is expert at what he does. I have just completed the IPL hair removal treatment & the results are unbelievable! After years of razor rash & inconvenience this has changed my life. The service is both friendly & professional & I will be recommending the clinic to all my friends and family. Thank you so much. I have just completed an 8 session course of I-Lipo. Not only do I look slimmer but it has given me the motivation to make the changes to my lifestyle that needed to be done. Although my measurements haven’t changed much I definitely look more streamlined and my clothes are looser. This treatment has helped me to look and feel better about myself. I think the Island Cosmetic Clinic is doing a great job. I am very happy that I found this place. Nice staff makes a friendly atmosphere and the treatments. I had microdermabrasion and gel peels which makes my skin feel nice. 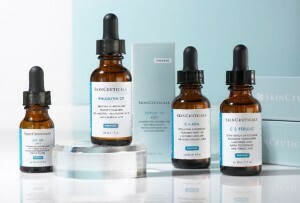 I have fallen in love with the skinceuticals products, my skin is so soft and clear now. When I come here I relax and fully trust the specialists who work here. I will keep coming for treatments. Thank you all. I have had Restylane & Botox & I must say I am very happy with the results. After years of suffering with Headaches, with having Botox I have not had any headaches at all. Which is a real good bonus. Dr Jilani was very good and patient and caring. I would recommend anyone who suffers with Headaches & Migraine to have Botox. I have had the new Innovation Concept peel and I am very pleased with the results. My skin feels and looks 5 years younger. It was a very comfortable and easy procedure and I would have the peel again without any worries. I had very bad thread veins all over legs and up the thighs. After treatments completely cleared my legs for once in my life, they were all gone, my legs completely cleared After microdermabrasion after 1 treatment my face was brighter a dark mark I had had gone. I kept looking for it. So far have just finished my 2nd treatment and looking forward to a prettier, nicer, brighter complexion. Thanks. I have had Sclerotherapy for thread veins on my legs. I have been really pleased with the results as before I felt I couldn’t really wear the clothes in the summer that I wanted to, and now I can. I would definitely recommend it to anyone as it is well worth having. I had the IPL Hair Removal on my neck & chin which was really quite hairy, red & sore and I must say it has worked wonders; Practically hair free (about 90%) and the redness & soreness has gone. I couldn’t recommend it highly enough, great atmosphere, lovely friendly people & Clare was fab. Thank you so much, with my embarrassing problem gone my life is a whole lot better. I am very pleased I started to have Hair Restoration as I could see a difference after the first 2 weeks. Now, after 6 months of treatment, my friends & hair dresser are commenting on how much thicker my hair looks. I can’t wait to finish the next 6 months treatments when it will be even better still. Thanks to all the staff at the clinic. Dr Jilani is most careful and attentive to details and always gives follow ups to check that the treatment has been successful both from his point of view and of his patient. So a big thank you for being so helpful. I came to the Clinic as I wanted to improve smile lines; I had lost a lot of weight resulting in some deep lines around my mouth. Dr Jilani was wonderful & put me at ease. I had Botox & Restylane & was impressed with the results which were very natural. The process was surprisingly pain free & I would not hesitate to recommend. 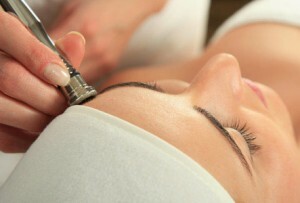 I was amazed at the effect of the treatment and people commented how relaxed I looked. In addition I found that my headaches improved following botox to the forehead area. Dr Jilani and his wife are both welcoming, informative and professional. I wouldn’t hesitate to recommend The Island Cosmetic Clinic to my friends. I have just had my fourth Botox injection for my excessive sweating. It really has been a life changing thing for me & I would & do tell everyone about it. When I came to the clinic for laser hair restoration I was sceptical, but after talking to Dr.Jilani who explained every detail to me I believed him. I’m 8 months into my treatment & have amazing results already; my hair started growing at 6 months. I have lots of new blonde hair coming through which will thicken up in the coming months. I can’t thank all the staff enough they are all so friendly & helpful , whoever is working always offers a drink. The clinic is always clean & tidy & has a very relaxing atmosphere. I would recommend this clinic to anyone who has issues with their body. I had the Medical Microdermabrasion – I wanted the treatment for the sun spots and to refresh my skin as it was dull – Initially the sunspot was reduced but had not completely disappeared – remarkably the sunspot on my cheek as completely disappeared and the other have significantly faded. I cannot be any happier with the result. I had the I-Lipo treatment in November/December 2010 on my tummy area. I exercised regularly and ate healthily throughout the time of the treatment. I had my consultation with the Doctor and I have to say I am amazed at the results. I lost over 9cm and the before & after pictures were unbelievable. I would defiantly recommend this treatment it’s amazing, my love handles are almost gone! Having recently bought some Revitalash from Dr.Jilani’s’ Clinic I must tell you how fantastic this product is! It seems expensive initially & maybe a little fiddly to do but it really does work. I have had stubby, very light eyelashes all my life but now they’re transformed. When I look in the mirror I can’t believe they are my own eyelashes. So much better than lash extensions, they look natural because they are. You have to persevere, it takes a few weeks to start working, but the little tube lasts for ages. Some days I even go without mascara & that’s a thing I would never do normally! This procedure ( I-Lipo) has definitely been a life enhancing experience. Areas of my body that have plagued me for many years, areas that I thought were with me for ‘life’ have been altered by I-Lipo. I have dropped a dress size, half a stone & gained immeasurable confidence within 4 weeks. I would recommend this procedure to anyone who has found the act of weight/fat loss a life sentence ~ worth every penny. I received 8 treatments of I-Lipo given by Josie-Lee. She was extremely professional, kind & thoughtful. I was delighted to have lost about 11cm in total. Josie encouraged me to exercise & be careful with my diet. All the staff I met were very professional & obviously well trained. The Clinic is excellent in every respect & I will have no hesitation recommending it. After feeling so unhappy & depressed with my frown lines & wrinkles on my head I decided to try Botox & Restylane. Best thing I have done. No creams, potions & lotions can sort this problem. I feel so much happier & I can see what a difference these treatments have made. People have started to notice already. My headaches have also improved. It was pain free & took such a short time to do! I was so nervous on my first visit but Dr. Jilani put me at ease straight away and really showed an interest in ME & how I was feeling. I can’t believe the difference in just 1 session!! I will be back. I wouldn’t hesitate to recommend Dermaroller. Skin looks & feels great. Treatment is not painful just a little uncomfortable. Well worth it, many thanks. Thank you so much!! No more embarrassing unwanted facial hair!! The IPL treatment has worked & Clare was so reassuring throughout. I would definitely recommend this clinic (& treatment) to anyone who wants a professional, discreet & friendly solution. Everyone here has been so helpful. Clare understood exactly what I needed & I was never concerned that she didn’t. She is brilliantly confident & her great sense of humour ensured that each session was enjoyable! No more shaving, plucking or trying to cover up. I thoroughly recommend IPL treatment. I’ve had facial hair for 15 years & many times cried about it. It’s well worth it & anybody thinking about having it done don’t hesitate! Over the 8 years I have had various treatments: Botox, peels, IPL and dermaroller. All of which have been effective. At every visit the staffs has always been pleasant and professional, honest about any possible side-effects and well enough trained that such side-effects are extremely rare. I have recently been having a bit of a midlife make-over and I have indulged myself with a couple of different treatments: I-lipo and Titan. Naomi, it is just amazing. You have changed my life; my eyeliner and brows look so natural I would not hesitate to recommend your artistry and skills. I cannot speak highly enough of the treatment I received from the moment I stepped inside the Island Cosmetic Clinic. The staff were so welcoming and informative and were more than happy to show me some of procedures they themselves have had done. That in itself was so reassuring, thanks so much. I initially came in for IPL but was guided towards ACP as most of my thread veins were around my nose area and I was advised this would be more precise. I was comfortable throughout. It feels like a tiny pin prick – nothing worse – your eyes may water slightly very close to the nose area but this treatment is fantastic and instant. I was amazed at how the thread veins were disappearing before my eyes. I would recommend this treatment to anyone with thread veins; mine were mainly confined to my nose area so I was thread vein free after 2 x 15min treatments. I’m one happy bunny. Had a course of Gel Peels & Microdermabrasion, am pleased with the results achieved. The therapist makes you feel relaxed and always explains the treatment process, what’s happening and what you should feel. My skin is lovely, blemishes have faded, skin is less oily & looks more radiant. Many thanks to the staff for a friendly, professional experience. Looking forward to future treatments. I have just completed my I-Lipo course and am very pleased with the results. It gave me the boost I needed and has made me more body confident!! I am determined to keep up the diet and exercise plan as the results are so rewarding.The team are so friendly and professional I was put at ease from day one. The clinic is so relaxing! I would definitely consider top-ups in the future. After having tried a lot of different treatments to get rid of unwanted hair the IPL treatment was a nice surprise! It didn’t hurt and Clare made me feel totally at ease. I saw a noticeable improvement from the very first session and my skin has looked clearer and smoother ever since. The hair has almost completely disappeared and I no longer feel so self-conscious. A seriously excellent treatment with genuine, satisfactory results! I-Lipo – A non-invasive, relaxing, pleasant and fat-busting treatment that surpassed my expectations beyond belief. After researching this treatment and having it explained to me in great detail by Dr.Jilani and his staff I decided to give it a try to see if it would shift my stubborn ‘fat’ areas and signed up immediately for a course.